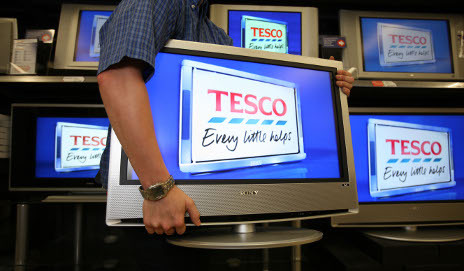 Tesco Clubcard points for my old TV – every little helps? Tesco is spreading its wings again. The supermarket’s latest venture is an in-store electrical recycling service. But would you want to exchange your unwanted gadgets for Tesco Clubcard points or gift cards? What ancient gadgets have you got lying around your house? A toasted toaster? 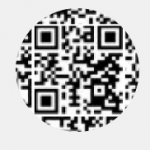 A dusty digital camera? A geriatric games console? Together these items could be worth quite a bit of cash. Well, I say cash, Tesco would like to offer you Clubcard points and gift cards instead. You’ll be able to swap all manner of electrical appliances in 238 of Tesco’s stores, which it will then recycle. In fact, you can take 3,000 types of products to the supermarket, but only those that you can carry – think TVs, microwaves and laptops, not dishwashers or cookers (even if you have superhuman strength). How much will Tesco give you? Tesco will value your items on-the-spot using its online database and give you either Clubcard points or gift cards at the “current market value” of your items. You can then exchange this for goods in-store. So are those prices any good? They’re not too bad – a new Wii will set you back £65 on eBay, so Tesco’s pretty on the mark there. However, when it comes to the Sony TV, after a quick look on eBay I could see a used model being bought for £160. That’s some way off Tesco’s offer. That’s not to say Tesco’s new service isn’t a good idea. The supermarket says it will recycle all the electricals in some way, whether it’s refurbishing them or breaking them down for parts. That’s definitely a laudable goal. And maybe you just can’t be bothered to put your telly up for auction on eBay? Handing in my old toaster at my nearest Tesco is a darn sight easier, even if I might only get a tenner for it. Of course, Tesco won’t reward you with cash, so if you’re not going to do your shopping there, I’d steer clear. Also, the prices above suggest you might be better off selling it elsewhere. My advice would be to check other websites first before lugging your electrical appliance to Tesco – you could make more than you thought. Does it say anything about having to be in working condition? Hi argonaut, just been on the phone with Tesco and the items don’t need to be in working condition, but the value of the item will vary depending on its condition. That is interesting. What will happen if people try to use Tesco as an alternative to recycling facilities for the items that they do accept? Tesco have already run ‘WEEE days’ in Ireland, where people could take electrical waste to selected stores. How many of these unwanted electrical items will be “refurbished” and “recycled” and end up elsewhere in the world? With the prices of land fill in the UK at almost record levels, it seems strange that a supermarket would take to paying for old goods? Of course, the “reward” points open another door to gaining more consumer information, which will be turned around and used to increase profits down the line, to the detriment of consumers, but at a time when food prices are at record levels and rising, tesco sales are down 0.5% but profits are up over 12%, shows that supermarkets (of all colours) care not one jot about anyone but themselves. There is of course good profits to be made by restricting the customer to shopping with them in the run up to christmas, but what of the case against carbon emissions? It matters not where things are dumped and end up, it still contributes to increasing carbon emissions, I’d be interested to hear the “green” view of this action, preferably before it is allowed to go ahead. Extend to foods, groceries ecetera…?? Hi argonaut, again Tesco has just told me that you can spend it anywhere in the store. Any scheme which encourages or makes it easy for people to recycle goods especially through re-use is to be encouraged. Would seem a good way of getting rid of old non-working electrical items – probably easier than finding your nearest official WEEE recycling point which may well be miles away and in an inconvenient location. If it does extend to non-working electronic, electrical and mechanical stuff AND points awarded can be redeemed as respects or w r t grocery purchases, then I’m on to a winner… had been criticized for hoarding too many old things by all and sundry… always protested they’d come in handy some day, hope I’m proved right on this particular occasion. Dunno if my old 78 rpms are worth anything, rather hernia-inducing if lot were carried or even a small fraction thereof, and even by an able-bodied adult. How can I find the nearest Tesco where the scheme is operating now? machine… it has got to be a large Tesco store though where they sell electricals (and probably other items of smaller household stuff). Personally, I think it’s a good idea if the goods can be used elsewhere rather than just dumped in a landfill. It seems that Tesco are being quite generous on their offer prices, given the example items in the article but I suspect they’ll end up somewhere in the world where Tesco make a profit eventually! Is there a link that gives full details of how this scheme works? I had a look when this topic was started but could not find the details. I am rather surprised because it looks as if Tesco stores will not take back WEEE waste, expecting customers to use local recycling facilities. probably better to say ‘… other smaller items of household stuff’. May be quite a good idea for people who don’t keep stuff for long and who are trying to ditch fairly modern equipment, but a quick check through the Tesco list showed that the points offered for my old (good condition and still working) electrical stuff would not make it worth my while to drive the short trip to my Tesco store – the cost of the petrol would outweigh the value of the points. So the only advantage to me would be the reassurance that the stuff was going to be properly recycled. I work for a charity. We sell secondhand electrical items (after testing them) – we may miss out if people decide to get points instead of donating. Yes, hadn’t thought of that. It would be a shame if charities who benefit from this miss out. I may be out of date, but few charities used to take (mains powered) electrical items for safety reasons. As I am aware Tesco will be taking back any electronic equipment. They will offer a value for good working equipment and test it and resell it back into the markets…whether it be Uk or Europe is undecided yet. Also the produces that are deemed as WEEE waste will be sent to an expert recycler and a 99.8% recovery of the materials will take place. People are going to be more inclined to drop WEEE Waste to Tesco than to the local CA site because it saves the trip of visiting the CA site especially if you only have a broken vacuum cleaner etc. I’d want to see cast iron guarantees that this will be the case, with clear access to figures, etc. I don’t trust supermarket claims one jot! Hi exno, the products don’t have to have been bought in Tesco, so you can take most tvs in.